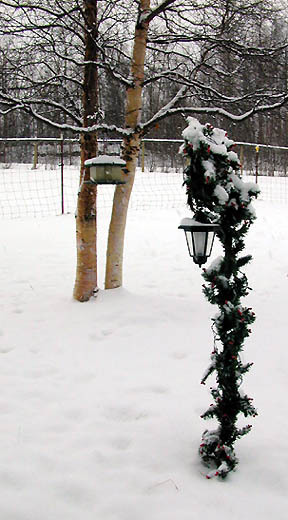 Welcome to Moosewood Farm's home on the web. Pages are hand coded in HTML by Jeanne (yep, the hard way.) Our little homestead is located in the farming belt of the Matanuska Valley in Palmer, Alaska. When we settled down here, after spending 5 years in the alaskan *bush*, we decided it was time to get back to a road system. 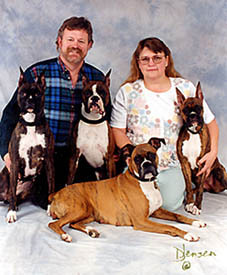 We breed and show quality Boxer Dogs after spending several years breeding and showing Persian and Exotic Shorthair cats, then Appaloosa Sport Horses. We were successful competitors in NATRC with top horse and rider wins. We currently have a litter of puppies ready for new homes. These pups are over 50% euro and include show potential and pets. All are brindle, 5 males and 2 females. One show male spoken for. For more info, please email. To see our first litter, born 9-1-99, go to the Puppy Page. On 3-24-02, Moosewood's Night Raider (Harry), our homebred boy, earned his Championship, our first CH from our first litter. Read a diary of our beginning foray into the world of dog showing. We take puppy and rescue applications on the boxer page and will post updates on Our Puppy Pages. Enjoy our homepages, and visit again! Annie at 2 years old and as a weanling with Lacy. Just some photos of a couple of the foals we have produced. A page has been added for rescue boxers and boxers looking for a new home. Our first entry was a fawn girl, hit by a car and signed over by the owner to Animal Control. Read her story: Here. She found a wonderful new home with one of our generous donators in Anchorage. Sadly, they lost her to heart issues several years later. 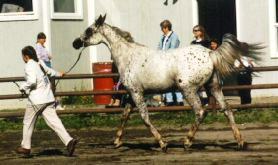 The summer of 2000, we acquired an older gentleman, 25yo Bacardi Fizz, a bay arab stallion of CMK breeding. His owner, a long time friend, had lung cancer, and was looking for just the right final home for him before she died. We were blessed with being her choice for this fine old man. Here's an album of a few pictures. After a year of good nutrition, Bacardi blossomed into a beautiful stallion who looked half his age. Other than some arthitis in his hocks and knees, he aged very well, better than Jazz who is 6 years his junior. He also sired a lovely filly out of Lacy, which sadly, was to be his last foal. As such, we named her Bacardi's Finale Finis. 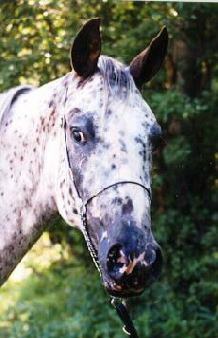 Bacardi Fizz was put down due to complications from colic treatment on 7-18-02. We miss him. Thinking of a Xmas or gift puppy? Read here first! There's nothing quite like new baby smell! 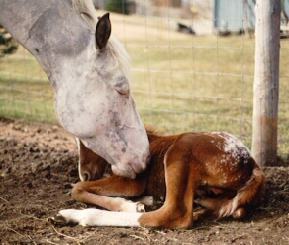 Want to see pictures of a foal being born? We rescued an ex-race horse from dire conditions in 1986. He was the best horse I ever had and this is his rescue page. Weather runs our lives here in the far north. Here's the current conditions in my small town.